Robyn Gayle and Diana Matheson, veterans of Canada's bronze medal winning Olympic soccer team, are part of an innovative social experiment with senior citizens. 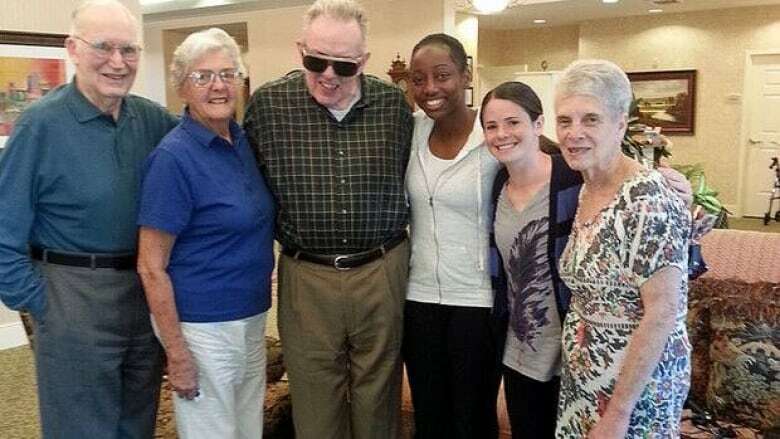 When Robyn Gayle (third from right) and Diana Matheson (second from right) aren't on the pitch with the National Women’s Soccer League's Washington Spirit, they're hanging out at home with their neighbours at a seniors residence in Rockville, Maryland. 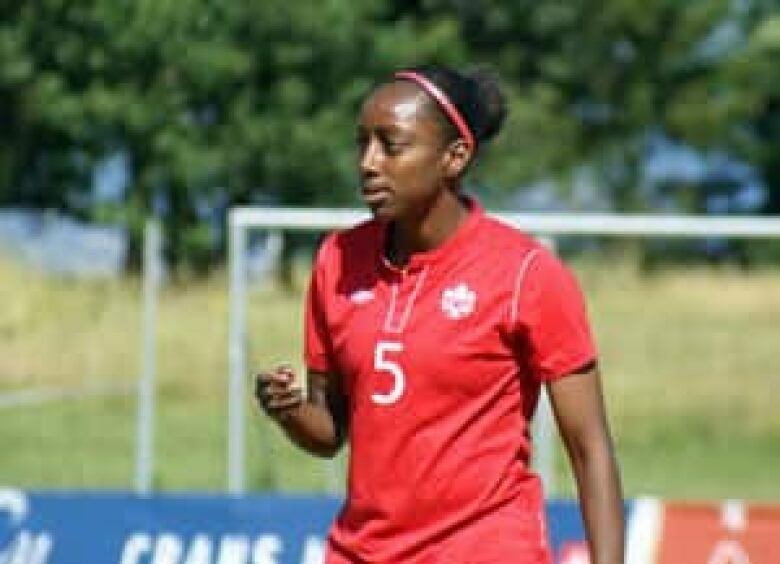 Robyn Gayle and Diana Matheson —veterans of Canada's bronze-medal-winning Olympic soccer team — are turning heads both on and off the pitch this season. Gayle and Matheson are playing for the Washington Spirit in the brand new National Women’s Soccer League. Matheson leads the team in goals, Gayle is a key defender. But when the two professional athletes are not training or on the field, they are back at home hanging out with their neighbours — who are almost three times their age. Since April Gayle and Matheson have been living free of charge in an old folks’ home in Rockville, Maryland. It's part of an innovative social experiment. It is a surprisingly common complaint from inside retirement residences and homes for the aged: "Everybody here is old!" Your bridge partner is old. Your hallway neighbour is old. The book club members are old. The people you have dinner with are old. The only young faces are visitors or caregivers. Which makes the experiment at Ingleside at King Farm, a sprawling seniors’ complex in Rockville, pretty remarkable. Marilyn Leist is the executive-director. She remembers when the idea to house seniors and budget-conscious young athletes under the same roof first surfaced. "The vice-president of marketing and sales came to me, and she said, ‘Hey, I have this great idea.’ And I looked at her like she had three heads because I thought she was nuts." Then Steve Gurney, publisher of The Guide to Retirement Living Sourcebook and an elder-care advocate, told her another facility had already explored a similar idea. Josh Faiola, a pitcher with the minor league Lake Erie Crushers, moved into an assisted-living complex during the 2009 baseball season. In the search for the right response to bullying, consider this: Sometimes words aren't the answer. Some say it's time to revive the old fashioned cure for meanies — giving as good as you get. Frank Faulk's documentary, Bully Right Back, explores the sock it-to-'em solution. Leist then offered Diana Matheson and Robyn Gayle a rent-free apartment and meal passes through the season. They were playing in Cyprus when the e-mail arrived. At first they thought it was a joke. Matheson is 29 and Gayle is 27, so their average age is 28. At Ingleside digits are reversed: the average resident is 82 years old. Then Matheson and Gayle checked out the Ingleside at King Farm website and decided to give it a shot. There are 375 residents in 246 independent-living apartments, 43 assisted-living apartments and 26 skilled-nursing suites. But Matheson and Gayle’s fourth-floor home is like a tony condo anywhere: there are granite counters, walk-in closets and wall-to-wall carpets. Except here all the doorways are wide enough for wheelchairs. The condos are attractive, but the decision was also a practical one. Even though Matheson and Gayle are among the best soccer players in the world, there are no limos, no five-star hotels. There is no way they could they ever afford to rent a place like this. Diana Matheson of Oakville, Ont., scored the bronze-medal-winning goal in Canada's match against France at the 2012 Olympics. And neither could the The National Women’s Soccer League. The eight-team league is in its first year, halfway through its six-month season. Two previous women’s professional leagues failed. Sponsorships are hard to come by, media attention hard to get, stands sometimes hard to fill. Money for the league and its players is almost always an issue. Living in Ingleside at King Farm means Gayle and Matheson can save money. And make interesting new friends. Almost every day, neighbours want to help out or invite them to dinner. "I sort of adopted them," says 73-year-old Nancy Kaplan, "because they are away from their moms. When I first met them I went up and saw their apartment, and I sewed things for them for their rooms so they would be decorated and cozy." At the moment, many of the soccer league’s players live with host families. But after three months at Ingleside, Diana Matheson says she's convinced that all of the teams should be looking to house some players in seniors’ residences. Living with a host family "is not always the ideal situation for the older girls, like 27 through 30," she says. But by living in a seniors’ residence "you have your own space, plus you get to learn from amazing people." The experiment is paying dividends for Ingleside’s regular residents, too. It’s Saturday evening. Rain pours down as the Washington Spirit face off against the Boston Breakers at the Maryland Soccerplex. Still, it is a near sell-out: 4,027 fans — many of them little girls in soccer uniforms, along with their coaches and parents — fill the stands. The shuttle bus that brings Inglesiders to every home game has been cancelled. Walking over slippery, wet grass was deemed too dangerous for aging bones. But 83-year-old Ingleside resident Dr. Richard Craut wasn’t going to let anyone stop him. He asked his son Keith to drive him to the game. "I never paid attention to it [soccer] until Robyn and Diana appeared on the scene," he says. "So now I find myself beginning to look up the rules. "Everybody at Ingleside continues to think that we are all still growing, and we are. It is very important for old folks to keep learning." And the soccer players are learning, too. When they are not on the field, Matheson and Gayle visit with friends like 92-year-old Robert Balkam and his wife Laurin. The Balkams have been married for 71 years. Bob has his own apartment at Ingleside, just down the hall from the secure memory-care unit where Laurin lives. When Bob is with Robyn and Diana, he explains how he has learned to embrace the challenges that aging brings. "And we talk about it too," says Robyn Gayle, "because both our grandparents had spent time in retirement homes and nursing homes, and we’ve talked about the difference we have seen. My grandmother had Alzheimer’s, and she lived in assisted living, and this place is incredible." One of the first meals Gayle and Matheson had at Ingleside was with a long-married couple. "Bruce is in fairly fragile state," says Gayle. "He is recovering from some pretty heavy-duty stuff, and he went out of his way to pull out his wife’s chair, and it was so sweet." "I joked with Diana —they say chivalry is dead — and like, chivalry is not dead, it’s just elderly." 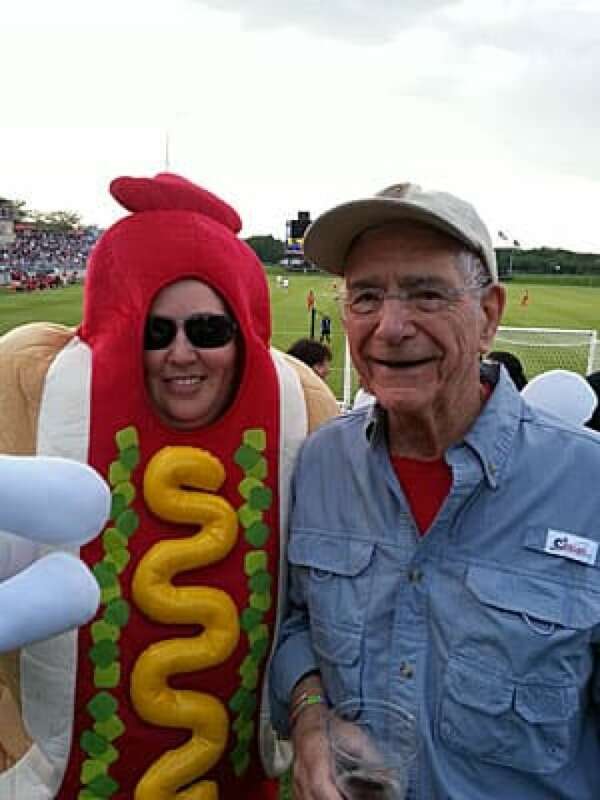 Ingleside’s executive-director Marilyn Leist says watching the soccer stars and residents live together has convinced her that this is only a first step in intergenerational housing arrangements. "We can create a model for the future, not a model from the past," she says, "where people just sit in their wheelchairs and nod off all day long."